Many ailments can be cured at home without expensive RX prescriptions. Granted this isn’t always the case, but when possible it feels good to use organic solutions. If you’re hoping try some yourself then you’ll love this collection of home remedy books. 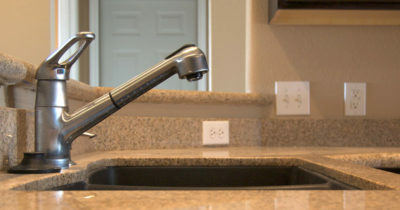 These cover a wide variety of recipes that you can make with common household ingredients. 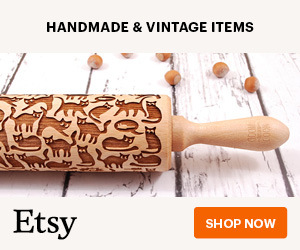 The quality of these recipes seem to vary from person to person. But if you’re willing to take the leap you’ll find a lot of cool stuff in these books. 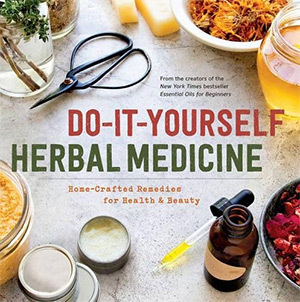 The Do-It-Yourself Herbal Medicine recipe book is an excellent place to start for anyone new to this subject. It’s a fairly dense book with 250 pages of herbal information and custom remedies. 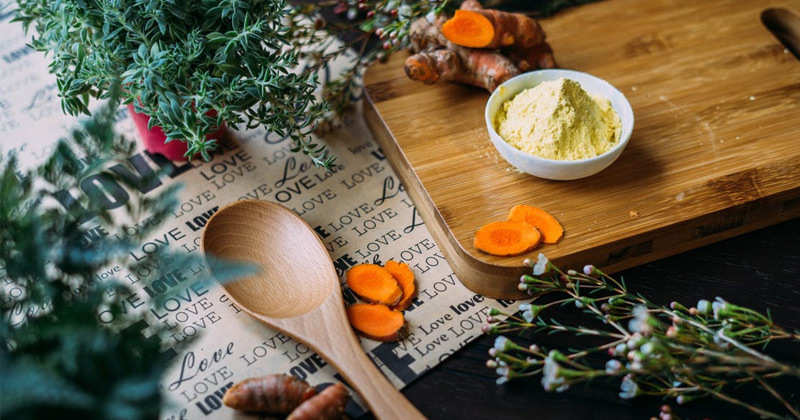 You’ll learn the foundations of why certain herbs alleviate certain symptoms and how you can mix these into home solutions. Various ailments include clogged skin, weak hair, and solving annoying ailments like upset stomachs. Lots of great stuff for dry skin and rashes, bug bites, or sunburns. New mothers will certainly appreciate these tips while trying to keep their kids healthy and accident-free. This book is definitely older but the information is pure gold. 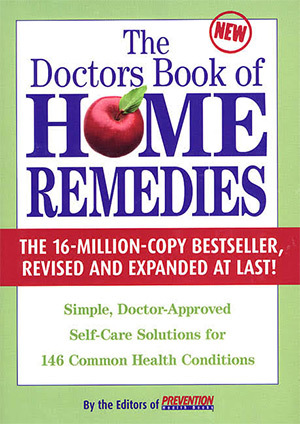 The Doctors Book of Home Remedies offers a clean set of remedies you can try at home, all organized by common issues. Note this book is not meant to be a replacement for trained physicians. There is good reason to see your doctor if you’re facing serious health complications or just cannot solve the problem by yourself. A lot of these recipes are for non-threatening ailments that still affect quality of life. Dandruff, hangnails, mild gout flareups, bedwetting and so much more. With over 600 pages and a well sourced chapter list I have to say this book is worth keeping around. It’s something you can reference for years to come and it’ll prove invaluable once you find a recipe that works. I don’t usually associate NatGeo with natural remedies but their 2014 book Complete Guide to Natural Home Remedies is an excellent purchase. This looks more into sustainable eating habits and how to build a lifestyle that supports continuous health. There are plenty of home remedies you can try but you’ll always have problems if you can’t manage your health day to day. A few medical professionals contribute with opinions & insights including pharmacologist Joe Graedon of The People’s Pharmacy. You’ll find everything from natural cold remedies to which foods you should eat when you catch the flu. 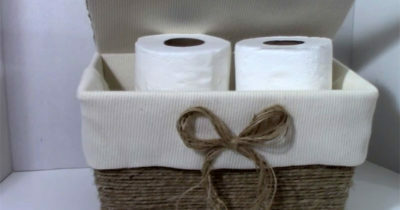 It also has a few recipes for fragrance, hair health, skincare, and even some home cleaning products. If you want to build an all-around healthier home life organically then grab a copy of this book. Here’s another book from The People’s Pharmacy creators Joe & Terry Graedon. 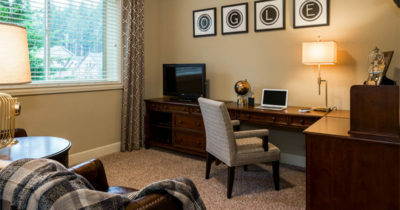 They’ve written dozens of articles on these subjects and really prove themselves to be experts in the field. 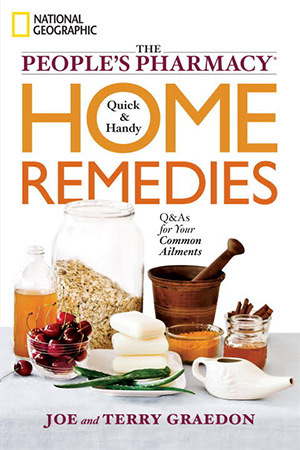 Quick & Handy Home Remedies spans 256 pages and was also published by National Geographic. The structure of this book feels much more like a recipe book. You can look up recipes based on problems you’re having like cold sores or fresh cut wounds. Some people don’t find immediate relief with these recipes so they choose to substitute ingredients with their own. 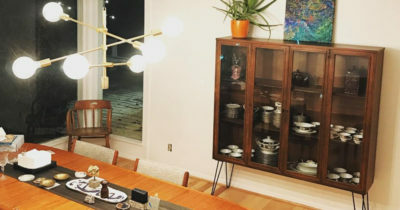 Once you’ve been doing some home remedies for a while you’ll learn it’s pretty simple to mix & match whatever you’ve got around the house. But it’s still nice knowing there’s a book like this at home to reference when you need it. Author Brigitte Mars has over 35+ years experience working as an herbalist and a proponent of natural medicine. 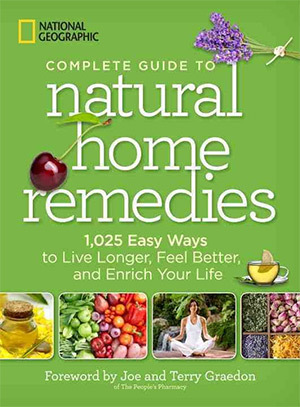 She wrote this book along with author Chrystle Fiedler to provide one main resource for tested at-home remedies. 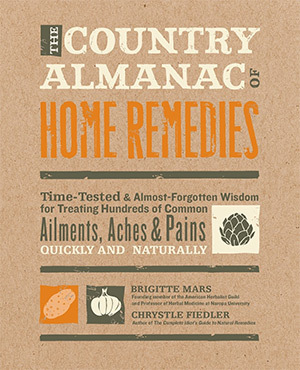 The Country Almanac of Home Remedies is a very detailed book. And it goes beyond sicknesses or ailments in the body to include wholesome solutions for splinters, cuts, and bruises. Each chapter covers a different problem/solution combo with tips you can test yourself. This reads like advice you’d get from your grandmother on how to care for yourself and even your children. It’s a pretty thick book too with almost 300 pages and a total of 17 chapters(plus a large appendix). Super practical book and the writing style has a very home-y vibe to it. 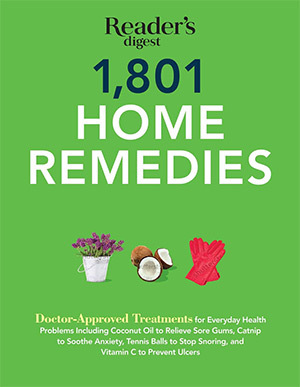 Totaling a massive 500 pages long with over a thousand recipe ideas is Reader’s Digest 1801 Home Remedies. The cool thing about this book is how it mixes common medical knowledge with more herbal solutions. You can’t patent nature but you can patent chemicals, and that’s a big reason why pharmacology pushes studies on pills over plants. Yet they both serve a purpose in modern medicine. In this book you’ll find a harmonious balance with discussions on vitamin intake and combining well-known medications along with organic treatments. 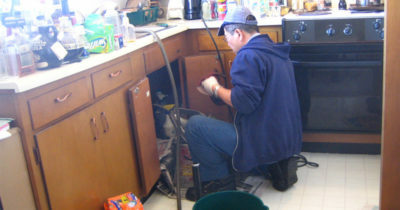 Usually the best solution to a health problem is a mix of both professional advice along with personal effort. And with a copy of this on your bookshelf you probably won’t need much else. 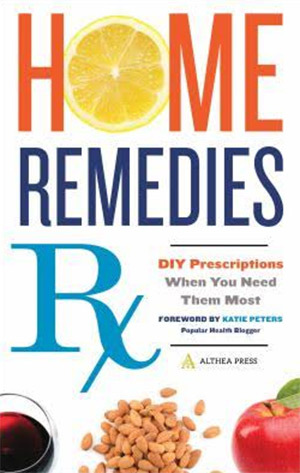 Home Remedies RX is yet another book on treating ailments with simple home creations, although this book reads much like a beginner’s guide to the subject. It is pretty thick with 320 pages and it goes into great detail on each remedy. The best part is how each chapter explains the science behind each remedy so you understand why it works. And of course the author does state(accurately) that not every problem can be cured with home remedies. Modern medicine is a very handy tool and it often does solve problems that organic medicine just can’t. Yet for the problems you can solve at home this book is a bible of information. Those who want to understand the science behind certain recipes will have a field day reading through each page. 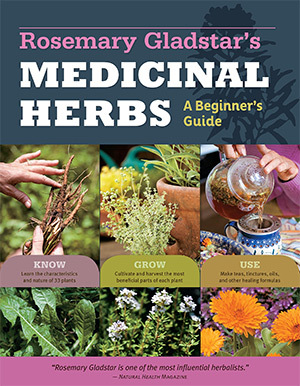 Another beginner-level book I like is Rosemary Gladstar’s Medicinal Herbs. This book focuses a little more on the plants themselves and what they can be used for. It’s great for anyone growing their own garden since you can make a plot for herbs outside. And with a greenhouse you can keep them coming all year long. Early chapters explain the basics of medicinal herbs and how they work. You’ll learn how to follow recipes and try creating medicines yourself at home. The author mentions a lot of common ingredients like garlic and aloe vera. But I also found a few obscure names I’ve never thought about. If you’re somewhat familiar with organic remedies this book will feel too simple. 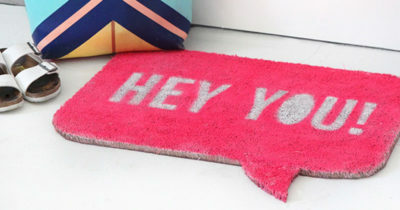 It has a long introduction for beginners so it does hold your hand along the way. But anyone who’s brand new to herbal health will pick up a lot from this title. India’s Ayurveda system is widely debated for many reasons. It has existed for thousands of years and while some remedies seem to work, others draw hard skepticism and seem like pseudo-science. 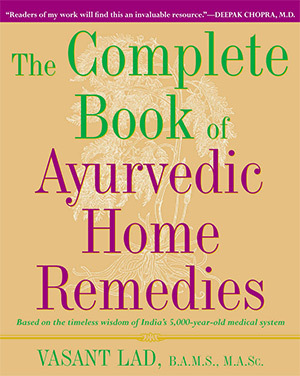 The Complete Book of Ayurvedic Home Remedies lets you judge for yourself by listing all the major Ayurvedic remedies passed down through generations. It’s a fairly old book with the latest update being in 1999. But the author Vasant Lad has decades of experience with medicine and knows his way around organic remedies. Anyone hoping to learn more about this ancient Indian system will find everything they need between these pages. I can’t say this is the best book on home remedies but it’s certainly one of the most complete with a focus on a specific type of natural medicine. 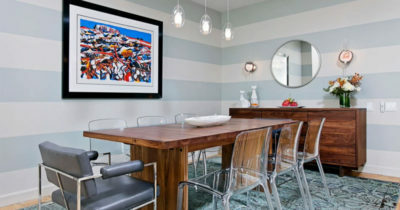 You may be surprised how much you can do with oils at home. 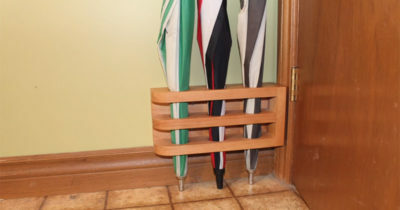 You can re-use them for simple cleaning oils or even make your own soaps with oil combinations. But if you’re going for home health then Essential Oils is a must-read. Authors Susan Curtis and Fran Johnson share their wisdom on dozens of common oils and the maladies they can solve. 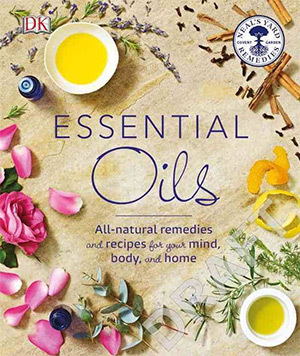 The book starts with an intro to common oils and how these work for home remedies. But the bulk of this book covers a huge list of oils from A to Z with explanations and remedies for each one. If you’ve never worked with oils before I highly recommend a copy of this book. It’s probably the best guide to learn the basics, yet it’s also a handy reference guide to come back to years down the line. 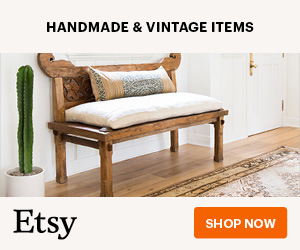 Either way I’d guarantee there’s something in this list for everyone regardless of your experience with home remedies. Take another look over these titles and see if any books catch your eye.